When two 15-year-old girls find a mysterious house concealed under an ancient tree on the Devisdale in Bowdon, they discover that the cellar steps take them back in time to the London of 1665, the year of the Great Plague. It proves to be the first of many visits to the house and to the plague-ridden capital, and they soon find themselves witnesses to the Great Fire of London which followed the Plague a year later. 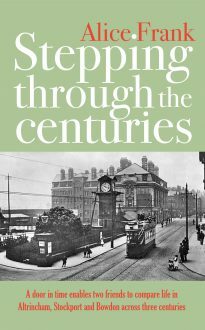 As the girls grow older and explore further, their travels through time and their encounters with people from the 17th century give them much to think about, including the way attitudes have changed to social care, mental health, nursing practice and tenancy law.